Hyde Park, NY – A graduate of The Culinary Institute of America is the best chef in the United States, according to the American Culinary Federation. Drew Garms, executive chef of The Everglades Club in Palm Beach, FL, earned the title of USA Chef of the Year at the recent ACF National Convention & Show. Another alumnus, Michael Beriau, was honored by the nation’s leading culinary association with the Hermann G. Rusch Chef’s Achievement Award. Chef Garms became a finalist for the national Chef of the Year award after being honored as the Southeast Regional Chef of the Year in January. He then won a cook-off against his fellow regional winners to earn the highest honor bestowed by ACF. In addition to the prestige and title, Garms was awarded $5,000 for his achievement. “Winning the title of USA Chef of the Year is an unbelievable honor, but the knowledge and experience gained through countless hours of research and practice is the true reward,” Garms said. 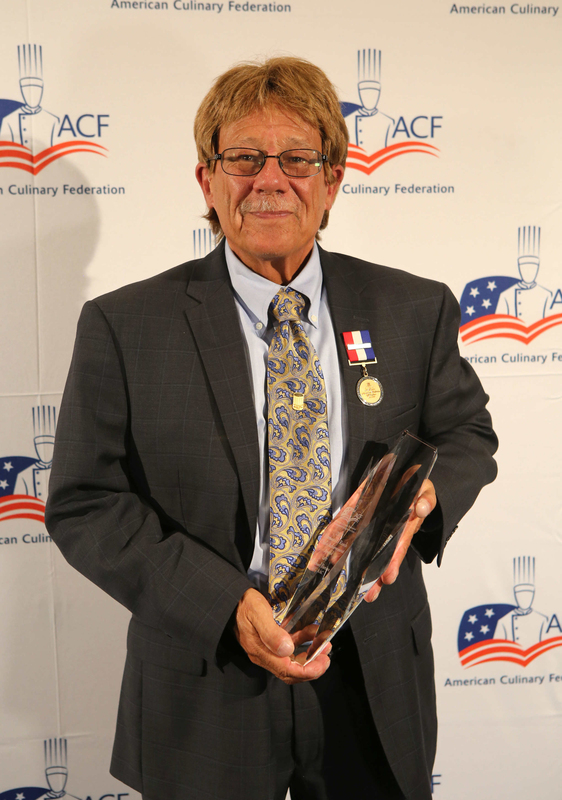 Chef Beriau, who recently retired after a 48-year culinary career, earned his award for commitment to the ACF and advancing the culinary profession. Prior to his retirement, Beriau was executive chef at White Cliffs Country Club in Plymouth, MA. His brother Wilfred Beriau, also a CIA graduate, won the same award in 2012. Several other CIA alumni were recognized by the ACF for 2017. Peter Felton, Peter Salemno, and Stephen Afflixio received Cutting Edge Awards for their innovation and leadership; Felton, Kathleen Salemno, and Charlie Gipe received Presidential Medallions for contributions to the culinary profession; Gerard Molloy won the Chef Good Taste Award; and Roger Newell was the recipient of the Lawrence A. Conti Chair’s Achievement Award. 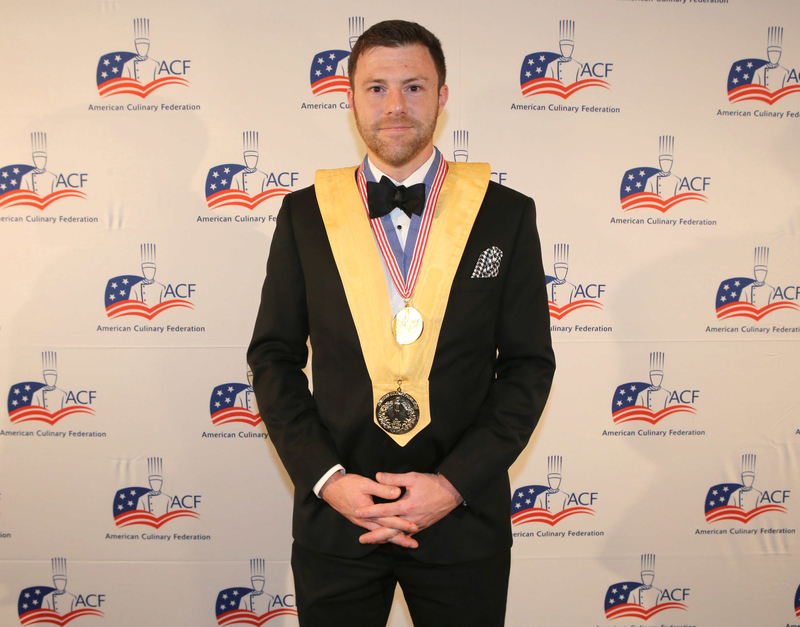 Seven other alumni were inducted into the American Academy of Chefs—the ACF’s honor society.